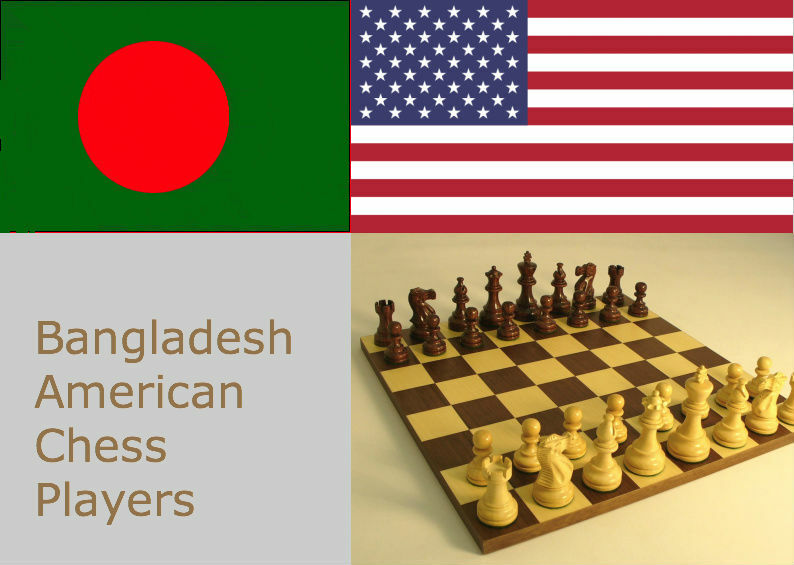 Seated: The chess champions Mikhail Tal (1936-1992), José Raúl Capablanca (1888-1942), Emanuel Lasker (1868-1941), Wilhelm Steinitz (1836-1900), and Bobby Fischer (b. 1943). Standing: Boris Spassky (b. 1937), the playwright Arrabal (b.1932), and Alexander Alekhine (1892–1946). On the right-hand side: Paul Morphy (1837-1884), François-André Philidor (1726-1795) and Ruy López de Segura (1530-1580). In photos on the left-hand side: Vasily Smyslov (b. 1921), Machgielis (Max) Euwe (1901–1981), Anatoli Karpov (b. 1951), Judit Polgár (b. 1976), Tigran Petrosian (1929-1984), and Mikhail Botvinnik (1911-1995). Click picture to enlarge. 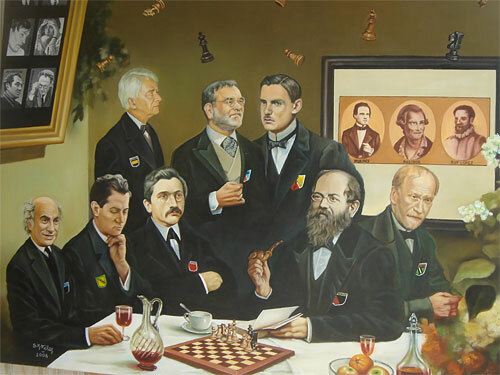 A wonderful Chess Painting that I found on the net today.